2 The Pilgrim Passport or “Credencial” is the document of the Camino de Santiago. It needs to be stamped each walking day. The Compostela is the Official Certificate of the Camino. 2.0.1 What is the Pilgrim Passport? 2.0.1.3 Where can I get the Pilgrim Passport? 2.0.1.4 How much is the Pilgrim Passport? 2.0.1.5 Where can I seal my Pilgrim Passport? 2.0.1.6 How many stamps do I need? 2.0.1.7 Can I bring my own Pilgrim Passport? 2.0.2 What is the Pilgrim Certificate? 2.0.2.3 What do I need to do to get my Pilgrim Certificate? 2.0.2.4 Who can request the Pilgrim Certificate? The Pilgrim Passport or “Credencial” is the document of the Camino de Santiago. It needs to be stamped each walking day. The Compostela is the Official Certificate of the Camino. What is the Pilgrim Passport? The Pilgrim Passport (Credential or Credencial del Peregrino in Spanish) was the letter of safe-conduct given to those pilgrims doing the Camino de Santiago in the Middle Ages. Nowadays, there is an official Pilgrim Passport that is the one distributed all over the world, and the one accepted by the Pilgrims’ Office of the diocese of Santiago de Compostela. Pilgrims from all over the world need to collect different stamps along the Camino on this document. This way, once in Santiago, they will be able to request the Compostela (also known as Compostelana, Compostella, or Pilgrim Certificate). This is the document that certifies that the Camino was accomplished. The official Pilgrim Passport (and others accepted by the Cathedral) is printed on a cardboard, with sixteen pages, that can be open, creating the shape of an accordion. The first page is like a letter of introduction. On the upper side of the page, there is an area to be sealed by the organization that issued the Pilgrim Passport. Below this, there is another area to insert the date and the seal of the Cathedral once the pilgrimage is finished. At the lower part of the page, we can see the Prayer of the Pilgrim and the Blessing of the Pilgrim (both written in the Códice Calixtinus, the first guidebook of the Camino de Santiago). The rest of pages are white, destined to collect the stamps. There are also maps of the different official routes of the Camino de Santiago. In the name of our Lord Jesus Christ, receive this rucksack, the habit of your pilgrimage, so that, having atoned, you hasten to prostrate yourself at Saint James’ feet, where you yearn to arrive and, after having completed your journey, you come to us joyful with the help of God, who rules over the world without end. Amen. Receive this staff as support for the journey and your efforts during your pilgrimage so that you are able to overcome the hoards of enemies and thus arrive safely at Saint James’ feet and, after having completed your journey, you come to us joyful with the assent of the same God, who lives and reigns forever and ever.Amen. Where can I get the Pilgrim Passport? You can get your Pilgrim Passport at the Pilgrims’ Office in Santiago de Compostela, or other official institutions authorized by the Cathedral. For example: churches, Associations of Friends of the Camino de Santiago, albergues, brotherhoods related to the Camino, Travel Agencies… There are some associations, both in Spain and abroad, the are authorized to distribute their own “Pilgrim Passports”, with their own reference to the pilgrimage towards the sacred city of Santiago de Compostela. How much is the Pilgrim Passport? The price of the Credential is generally €2. But this might be different depending on where you acquire it. If you plan to travel with Galiwonders, you do not have no worry about the Credencial. All our tours on the Camino de Santiago include the Pilgrim Passport. Once month before departure you will receive it by regular post. Where can I seal my Pilgrim Passport? You will need to collect at least two stamps each walking day: one in the morning, when you leave, and the other one when you arrive to your destination. But you will be able to get as many stamps as you want on your Pilgrim Passport. You can get them as a souvenir from the places you will be walking through. Accommodations: hotels, guesthouses, country cottages and albergues. You can get the stamp at the place where you will be sleeping. Tourism Offices: you will find many Tourism Offices on the way to Santiago. Churches and monuments: a lot of pilgrims decide to seal their Certificate at Chapels and cultural & religious buildings. Restaurants, bars and museums: small business along the Camino usually have their own stamps. You will also find sign books at some specific places on the Camino de Santiago. Many pilgrims leave a message on these books, to encourage other comrades. It is very common to read: “Buen Camino”. It is the most usual greeting among pilgrims. 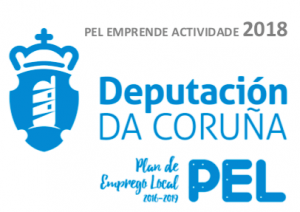 In order to get your Pilgrim Certificate (or Compostela), we recommend to get at least two stamps each walking day. At least if you are doing the last 100 km of any of the routes (walking or horse riding). If you are cycling, you will need to cycle at least 200 km. If you are doing the whole route (the whole French Way for example, from St-Jean-Pied-de-Port), one stamp per day is enough. Can I bring my own Pilgrim Passport? No. If you want to get your Pilgrim Certificate or Compostela once in Santiago, you will need to have the Official one (the one issued by the Pilgrims’ Office). What is the Pilgrim Certificate? The Pilgrim Certificate (also known as Compostella, Compostelana, or Compostela) is the document that certifies that a pilgrim has completed the Camino de Santiago. 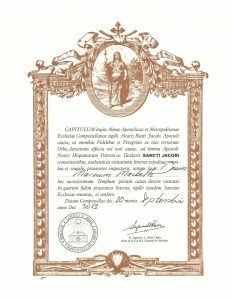 It is an official document that confirms the pilgrimage to the tomb of Saint James the Apostle. 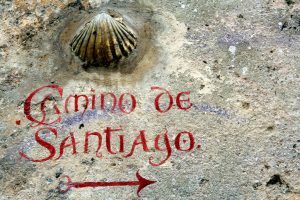 Before the Pilgrim Certificate existed, in the IX and X centuries, the way to prove that the Camino de Santiago was done, was with a scallop shell. But these shells are easy to forge. During the XIII century, the Probationary Letters started to be quite popular. These letters are considered to be the origin of the Compostela. On the XVI century, the Catholic Monarchs constituted the Royal Hospital Foundation (which is nowadays the Parador de los Reyes Católicos, a hotel). Those pilgrims who showed their certificate, where entitled to stay there for three days for free. This Foundation was transformed into a Pilgrim Hospital, the most important of Galicia region. And after that, it was the headquarters of the popular School of Medicine of Santiago de Compostela. In 1954, it was turned into a hotel: the Parador de Santiago. But it still offers free meals to the first pilgrims that arrive there each day. But of course, they need to show their Pilgrim Certificate. With the popularization of motor vehicles and tourism, the Camino de Santiago turned into a pleasant journey. A good option to go on holidays. For this reason, the sanctuaries started to issue their own certificates, trying to emulate the Compostela. Nowadays, the Compostela or Pilgrim Certificate can only be given to those pilgrims who arrive in Santiago de Compostela for religious reasons, to visit the tomb of Saint James the Apostle. It can be walking, cycling, or horse riding. That is why nowadays there are other kind of documents like the “Welcome Certificate”. We will talk about it after. What do I need to do to get my Pilgrim Certificate? In order to get your Pilgrim Certificate, you will need to walk at least the last 100 km of the Camino de Santiago (walking or horse riding). Or 200 km if you plan to cycle. This is proven with the Pilgrim Passport, with all the stamps collected along the way. Also, the final stage of your Camino needs to be Santiago de Compostela. You do not need to do the Camino continuously over time, but you need to follow the same route. For instance: we can walk one or two stages each weekend. But we always need to resume our walk from the same place where we left it. If you skip a section of the route, you would not qualify for the Pilgrim Certificate. Who can request the Pilgrim Certificate? Any person can request the Pilgrim Certificate, even minors. In this case, they should be accompanied by their parents, or be part of a group. And they should understand the spiritual nature of the Camino. In case of babies and toddlers, their names would be included on the certificate given to their parents, or the adult responsible for them. This document is a sort of Pilgrim Certificate, that proves the accomplishment of the Finisterre Way. It started to be issued in 1997. If you want to qualify for the Finisterrena, you will need to get your Pilgrim Passport stamped at each of the stops (same as usual). There is no specific “Pilgrim Passport” for this route. 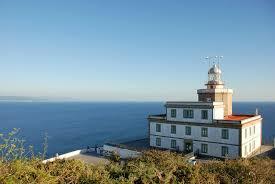 Once in Finisterre, you will need to go to the Public Albergue to request your certificate. Unlike the Compostela, this document is sealed by the Mayor’s Office. Same as the Finisterrana, the Muxiana is the specific certificate of the Way to Muxía (Camino de Santiago to Muxía). You will be able to request it at the Tourism Office of Muxía, showing your Pilgrim Passport (that you will need to get stamped on your way from Santiago de Compostela to Muxía). The origin of this Certificate is the Lebaniego Way, an alternative route of the Camino de Santiago that passes through Cantabria region. This jacobean route has its own Pilgrim Passport, that certifies the pilgrimage from Comillas to the Monastery of Santo Toribio de Liébana. This Crendential can be acquired at the the Church of El Cristo in Santander. But you can request it by e-mail (parroquiaelcristo@gmail.com). This way you will not have to go to Santander in person (the Lebaniego Way does not pass through this city). To get the Lebaniega (the special Certificate) you will need to get one stamp on the Pilgrim Passport each walking day. It is the way to certify that you have walked this route. You will need at least three stamps in total. You can get them at the Albergues, churches, or Tourism Offices you will find on route. If you do not walk this route continuously, you will need to get another stamp at the place where you left the route, in order to resumen your walk. From May 2014, the Pilgrims’ Office offers a Certificate of Distance to all those pilgrims who want to acquire it. 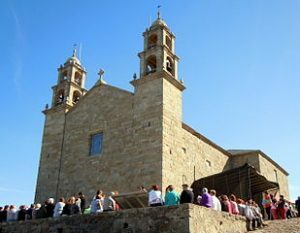 Many pilgrims had started to request a document with more information about their pilgrimage on the Camino de Santiago. This document contains the number of days and the number of kilometres done; and also the starting date and point. It also shows the route of the Camino. Those pilgrims who have done the Camino before the launch of the Certificate of Distance, can still request it showing their Pilgrim Passport. The Certificate of Distance is printed on a parchment paper, and it has a sentence in latin (from the Códice Calixtino). You can request it besides the Compostela, and the price is €3. 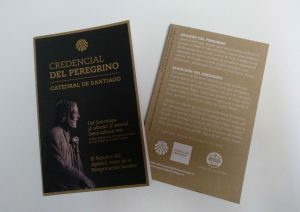 This Certificate is issued by the Cathedral of Santiago de Compostela. All those pilgrims who have visited the Cathedral and the Tomb of Saint James the Apostle can request it. This document contains a fragment of the Códice Calixtino and an image of the Apostle. Its price is €3 (same as the Certificate of Distance). From the beginning of the pilgrimage towards Santiago de Compostela to our days, the reasons to walk the Camino de Santiago have changed. Nowadays, not all pilgrims decide to take on the Camino de Santiago for religious reasons. Many of them do it for cultural reasons, nature, and even fitness. This is how the Certificate of Welcome was born. If you are not looking to get the Compostela, you can request this certificate. It is a secular version of the Pilgrim Certificate. The requirements are the same: you will need to walk at least 100 km of any of the official routes, or cycle 200 km. 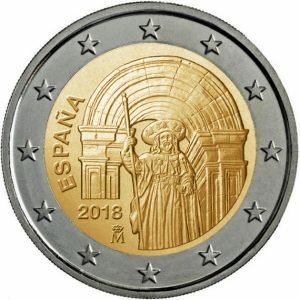 In 2018, the Camino de Santiago will have a new coin: the €2 coin, to commemorate the Historical Centre of Santiago de Compostela. On the centre of the coin, we can see the Apostle and the Holy Door of the Cathedral. On the external part, we can see the stars (that represent the European Union). There will be 300.000 coins available from the first semester of the year. They will be issued by the the National Currency and Stamp Manufacturer of Spain. Do you have any questions about the Pilgrim Passport of the Certificate? We will be very happy to assist you. 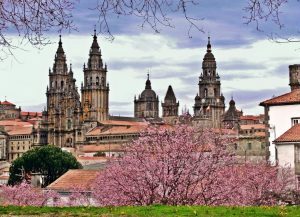 We are local experts on the Camino de Santiago, based in Santiago de Compostela. It is the Latin accusative case ending, it marks the object of the verb, so in the one that receives the action of the verb.